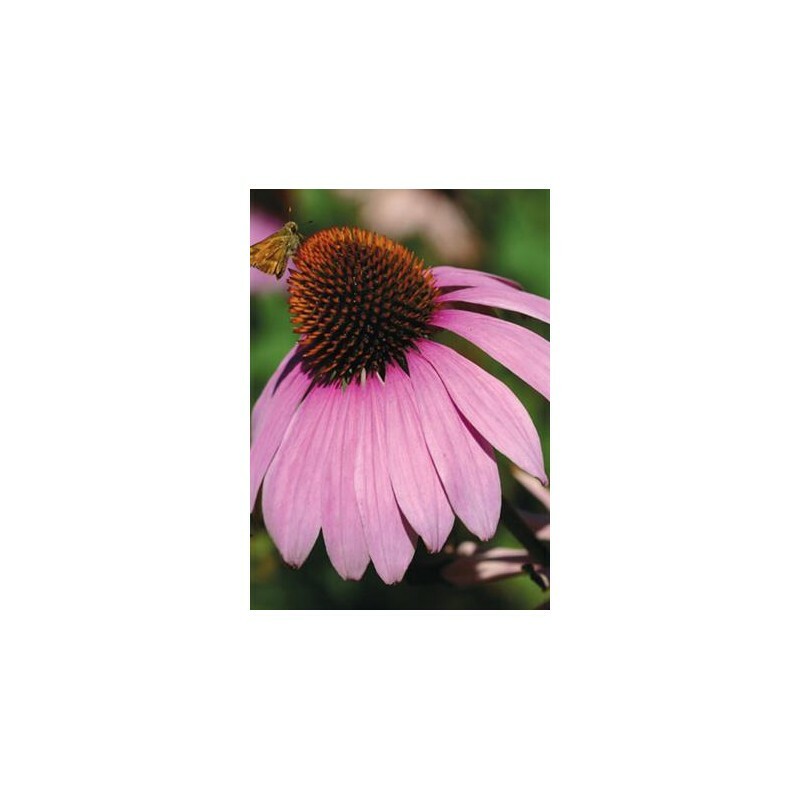 Purple Coneflower is a 2' to 4' tall native perennial with showy 2" wide flowers with drooping lavender petals and a bronze center cone. 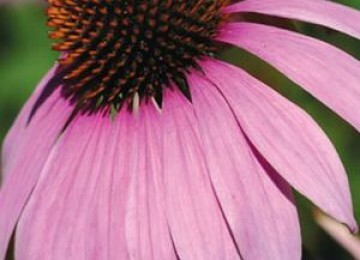 Purple Coneflower has long lasting flowers from late spring to early fall and tolerates moist to dry soils and full sun to part shade. It is one of our most popular garden plants and is widely used in pots and small flower gardens, flower beds, wildflower meadows, and grassland restoration. It is a great cut flower and easy to establish. Purple Coneflower emerges early in the spring and attracts insects providing foraging for the young of ground nesting birds. 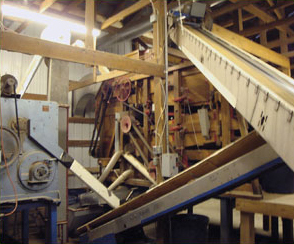 The seeds are eaten by song birds and the flowers attract a wide range of pollinators. 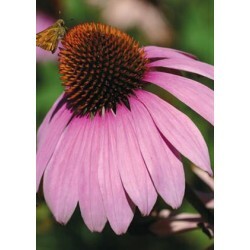 Echinacea is one of our most important herbal remedy medicinal plants.